Just spend a couple of days on the island of Dominica exploring dark mountains covered by tropical rainforest, countless hiking trails, some 40 dive sites and hidden beaches. You'll soon be plotting ways to return every year. 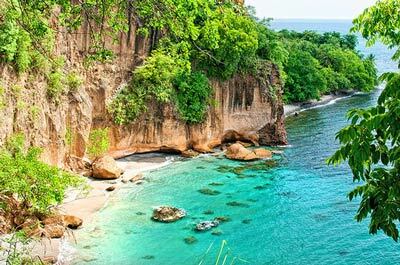 The Island of Dominica is known as the “Nature Island of the Caribbean” thanks to its natural parks, tropical rainforests, waterfalls, rivers, and large thermal lake. The climate of Dominica is extremely pleasant, particularly during the cool months from December to March. 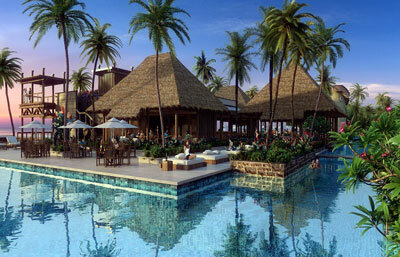 The island of Dominica is one of the most beautiful of the Caribbean. 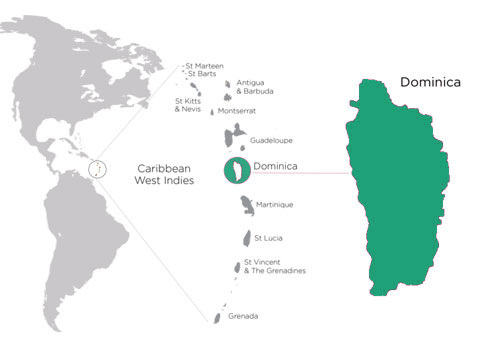 Dominica is a former British colony and a member of the Commonwealth of Nations (British Commonwealth) as well as the United Nations, the Organisation of American States (OAS), Caricom and other international organisations. The Citizenship by Investment Programme of the island of Dominica was approved in 1993. Even for an investment of USD 100,000 you may get a passport. 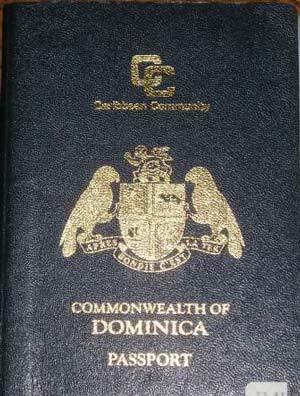 There are no restrictions on dual citizenship in the Commonwealth of Dominica. Visa-free travel to 119 countries, including Hong Kong and the Schengen Area countries. Easy to obtain visas to other countries. The application process is strictly confidential. There is no requirement to reside in Dominica before or after citizenship is granted. You are not liable to taxation in Dominica on any income earned outside of Dominica unless you decide to reside there. Named one of the world’s happiest places to live in. Incomparable lifestyle with a safe, stable and natural environment. You can apply for citizenship by making either a government donation or a real estate investment. In order to qualify for this programme, the investor needs to make a designated, non-refundable, per person donation to the government of the Commonwealth of Dominica. Your donation will be part of a national capital mobilization portfolio towards an ultimate goal of national development for Dominica. The process is very simple. To qualify, the investor must enter into a contract with the developer to purchase approved real estate. Once the purchase contract has been signed and the funds are in escrow, the investor may apply for citizenship. The real estate purchase contract is contingent upon citizenship acceptance. The real estate must be held for 3 years and may be eligible for resale under the Citizenship by Investment Programme after 5 years from the original purchase date. Does my family also qualify for citizenship? You and your spouse, your dependent children (up to 28 years) and parents and grandparents above the age of 65 (living with you) can also obtain citizenship under one application with additional government fees payable. About USD 35,000 for a family of 4. You will get your Dominica passport after 3-6 months from the submission of your application.